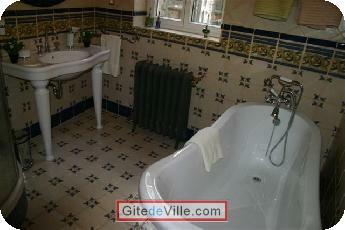 Bed and Breakfast of 30 m² in Rouen for 2 peoples. n the heart of the historic town centre of Rouen, in the Antique Dealer District, Place Barthelemy, our quiet flat is located on the second floor. You have at your disposal a suite and a separate bedroom. We are surrounded by historica places in an authentic cobbled pedestrian area. This charming area is both lively and restful! For your lunch and dinner, we will be happy to advice you good places in town. If you are looking for anything special, feel free to let us know to organize it before your arrival. Label: "Gites de France 3 épis"
Last Ads update : 07/28/2011.